Perfect trial size. 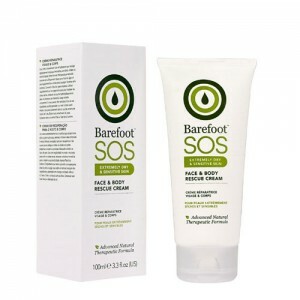 Rich, steroid-free cream to soothe irritation and rehydrate seriously parched skin. It blends omega-rich borage oil, shea butter and evening primrose oil with potent herbal extracts including calendula, burdock and mahonia. With a calming aroma of French lavender, chamomile and orange blossom, it provides welcome relief to skin in distress. As recommended in The Mail on Sunday. The one and only for dry, shy skin! Suitable for those prone to Eczema & Psoriasis. For even the touchiest of skins: an instantly calming complexion-soother that works from top to toe, comforting, cocooning and quenching skins thirst. This bestselling cream captures the skin wisdom of Barefoot Botanicals homeopath founders in the most soothing of treatments, originally created for eczema and psoriasis sufferers - but now a trusted must-have for dry skins (and nappy rash, too). 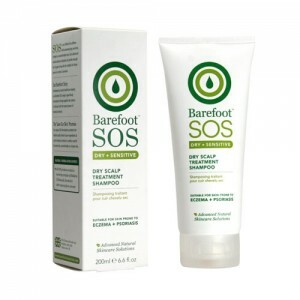 This is the Barefoot Botanicals flagship product and fully deserving of its acclaim. Fantastic for full-blown eczema, simple dry patches and everything in between. It is a broad spectrum formula that covers all the different types of eczema/psoriasis and is suitable for men, women and all ages of babies and children from birth upwards. Brilliant as an adjunct to weaning eczema sufferers off steroid treatment in conjunction with herbal or homeopathic treatment. Aqua, Sorbitan Stearate (Natural Emulsifier), Helianthus Annus* (Sunflower) Seed Oil, Ethyhexyl Stearate (Plant Oil), Octododecanol (Plant oil), Cetearyl Alcohol (Plant thickener), Glycerin (vegetable), Simmondsia Chinensis* (Jojoba) Seed Oil, Butyrospermum Parkii (Shea butter), Dimethyl Sulphone (MSM), ( Borago Officinalis* (Borage), Citrus Grandis (Grapefruit) seed extract, Panthenol (Vitamin B5), Alcohol* (from sugar cane), Sucrose Cocoate (Natural emulsifier), Oenothera Biennis* (Evening Primrose), Triticum Vulgare* (Wheatgerm), Xanthan Gum (Plant derived), Soy Acid (from Soya), Aloe Barbadensis* (Aloe Vera), Citrus Amara* (Neroli), Arctium Lappa* (Burdock) Root Extract, Berberis Aquifolium* (Mahonia), Stellaria Media* (Chickweed), Styrax Benzoin (Plant gum), Lavandula Angustifolia* (Lavender), Daucus Carota (Carrot) Seed Oil, Anthemis Nobilis* (Chamomile), Tocopherol (Vitamin E), Ascorbyl Palmitate (Vitamin C ester), Calendula Officinalis* (Calendula), Lecithin (from Soya), Beta Carotene (from Carrots), Lonicera Japonica (Japanese Honeysuckle). * Certified Organic by ECOCERT. For people prone to eczema, apply a thick layer as a mask, leave on 10 minutes & massage in. Barefoot Botanicals Secrets for Better Skin: Use cooled rosehip teabags on sore areas of skin for instant relief. Always de-stress with regular massage or acupuncture, and avoid spicy foods, alcohol, caffeine & cigarettes. 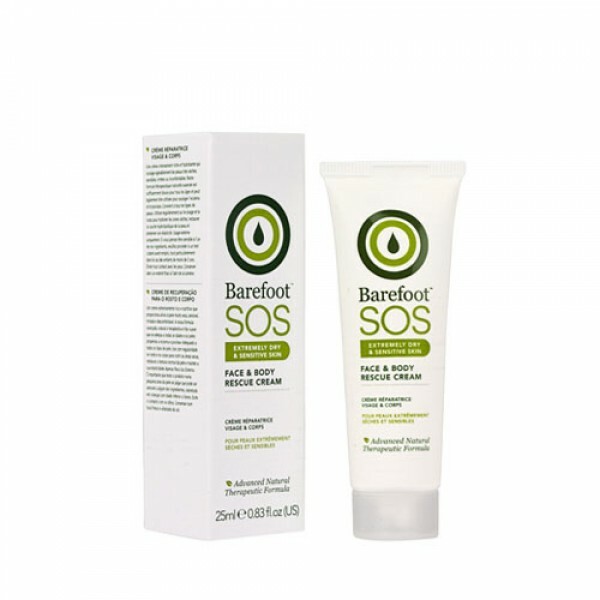 This is a great therapeutic cream for hairdressers suffering from contact dermatitis always wear latex free gloves at work, also use SOS Safety Gloves Barrier Hand Cream daily. Contact your local professional homeopath for holistic healing of skin problems.